October 11, 2014 – In almost a year of the Ukrainian crisis, a long list of crimes are yet to be properly investigated. 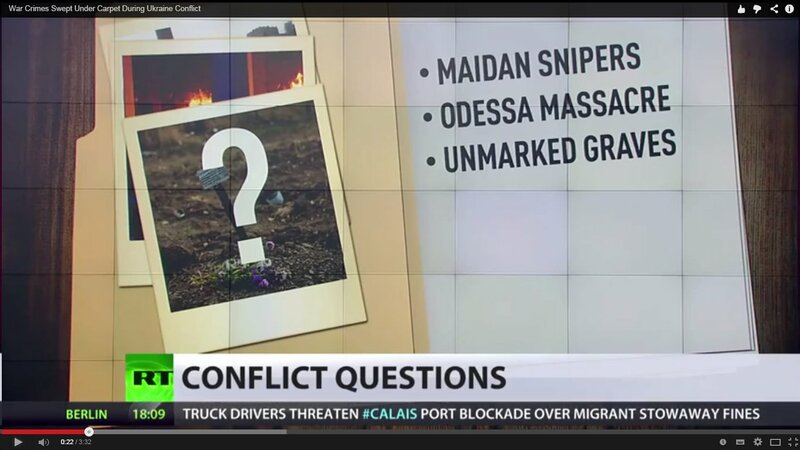 Snipers in Kiev in February, the Odessa massacre in May, and the recent discovery of unmarked graves in Eastern Ukraine, are just a few of them. Moscow is asking the UN and international monitoring organization the OSCE to look into the cases, that Kiev has so far failed to investigate.